In the aftermath of the school shooting at Sandy Hook Elementary School, Electronic Arts has removed links to a collection of weapons manufacturers from the official website of Medal of Honor: Warfighter. 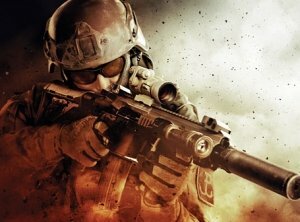 The links, which were pointed out in a New York Times story that ran on Christmas Eve, appeared on a “Partners” page for the game and showcased many of the real-world weapons featured in Warfighter. ← What’s President Obama’s favorite game app?